Whispers in the Loggia: The Doctor Is In – In "Mercy" Doubleheader, Pope Visits NICU, Aims To Treat "Narcissism"
The Doctor Is In – In "Mercy" Doubleheader, Pope Visits NICU, Aims To Treat "Narcissism"
Before keeping up his Jubilee commitment to personally perform the works of compassion, Francis met this year's crop of his own chosen offspring – the 150-odd new prelates from throughout the developed world gathered for the annual "baby bishop school," which introduces the fresh appointees to each other, as well as the wider trends, challenges and openings which will shape their respective ministries. And keeping with his own thread of reserving the most extensive and urgent talks for the shepherds he oversees, Big Brother delivered a detailed, intense call for the rookies – not to mention their elders – to embrace "mercy as the summary" of the message they seek to present, warning them that "the people of God [who] have the sense of God" flee the church "when they 'sense'" that their ecclesial leaders are "narcissists, manipulators, defenders of their own causes, [and] preachers of vain crusades." In the Pope's mind, episcopal ministry today "is not about attracting to oneself: this is a danger! The world is tired of lying charmers. And I allow myself to say: of 'fashionable' priests or 'fashionable' bishops." "It is not just any explanation," he said, "but of the secret of the Kingdom. " "It is a question addressed to you personally. The answer cannot be delegated to someone else." 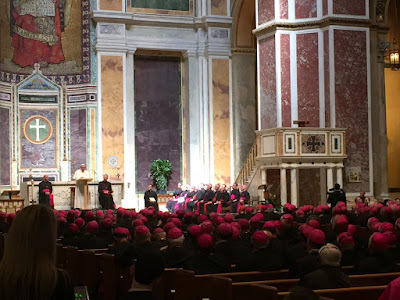 Along the same lines, addressing a similar course last week for new bishops from the world's mission territories, Papa Bergoglio issued another potent warning: in that case, against the fracturing of the church. "Divisions are the weapon that the devil has most at hand to destroy the church from within," Francis said. "[Satan] has two weapons, but the main one is division, the other is money. "Please, fight against divisions," he urged, "because it is one of the weapons that the devil has to destroy the local church and the universal church.... The church is called to be able to put herself always above tribal-cultural connotations and the bishop, [as] visible principle of unity, has the task to build the particular church incessantly in the communion of all her members." Third row: Ed Deliman, auxiliary of Philadelphia (our last hope); (aspiring EGOT) Robert Barron, (Fourth Tenor) Joe Brennan and (male Mother Teresa) David O'Connell, the three ami – auxiliaries of Los Angeles; and James Powers, the native son tapped to lead Wisconsin's Superior diocese... who – having pastored three parishes at once, in addition to doubling up as vicar-general and judicial vicar until his appointment – might just have it a tad easier now (at least, if all the candles really worked). As the links above double as the summary of a year's work, they should keep you lot occupied for a good while... if they don't, Lord knows, nothing ever will. For good measure, the dual rookie courses were far from the only time Francis' drive for his kind of quality-control on appointments surfaced over the past week. Over its latest three-day meeting with the Pope – their 16th since being tasked with advising on the reform of the Curia (and, behind the scenes, a good bit else) – the Gang of Nine cardinal-consiglieri drilled at length into the shape of the process which identifies and vets candidates for the episcopacy. On a context note, the shift is likewise another amp-up of a project begun by Benedict XVI: freshly armed with his marching orders for the US by Papa Ratzinger, a decade ago the late "Super-Nuncio" Archbishop Pietro Sambi (blessings and peace be upon him) memorably warned the Stateside bench that he had begun his mission by trashing a good many of the recommendations they had sent in, due to an insufficient pastoral experience of the picks. Ever one to put a fine point on things, Sambi went on to declare to the bishops that "Your successors will not look like yourselves." In other words, the overhauled "Star Search" is another of the areas where – as B16 admiringly told to his longtime collaborator Peter Seewald in their new interview book (which'll release in English come November) – the successor has shown the practical heft to effect the reforms the now Pope-emeritus sought, but couldn't fully attain. 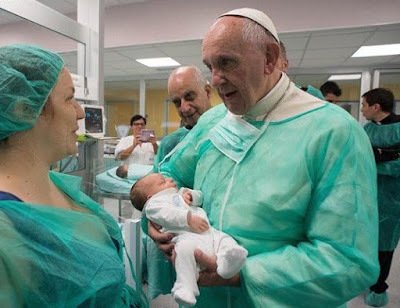 Back to Francis, the Pope again turned to the topic in meeting yesterday with his Nuncios spread across the globe, as the papal ambassadors had their Jubilee gathering in Rome. Recalling his address to the group following his election, Papa Bergoglio reiterated his desire for "witnesses of the Risen One and not carriers of resumes; praying bishops, familiar with things 'above' and not weighed down by those 'below'; bishops able to enter 'with patience' before the presence of God, so as to possess the freedom of not betraying the Kerygma entrusted to them." 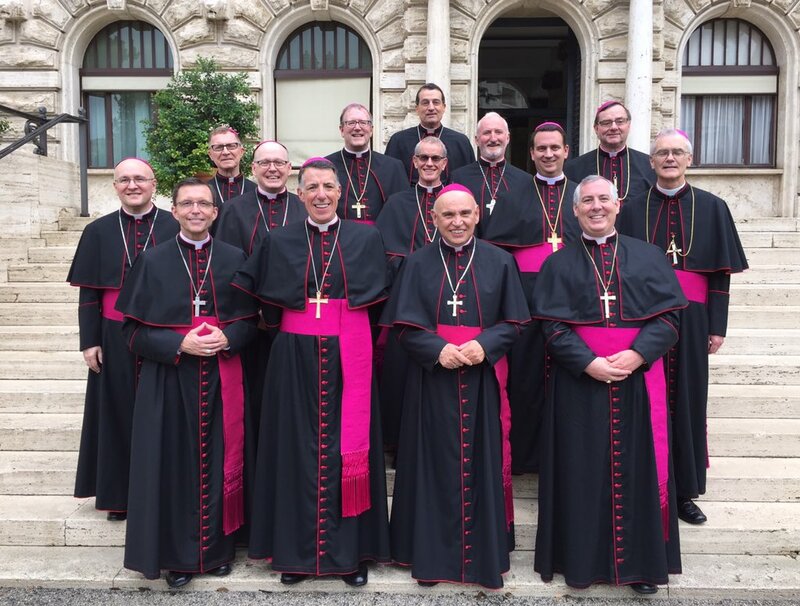 In sum, as the pontiff put it, "bishop pastors, not princes and functionaries. Please!" ...or – as he added for full effect – "If you always go fishing in an aquarium, you won't find them!"